Saturday, March 30, 10:00 a.m. - 2:00 p.m.
You're Invited to Open House! There was a time in your life when you thought you could do anything. We want to help you reconnect with your hopes and dreams. Come see us at Open House and meet our people, see our new spaces, and learn how we'll support you on your journey. Let us show you why, at Lambton College, the sky truly is the limit. Tour the campus, explore labs, enjoy lunch on us, win prizes, visit Residence, and connect with your future Dean all in one day. Hundreds of current students, faculty and staff will be on hand to answer all your Lambton College questions. 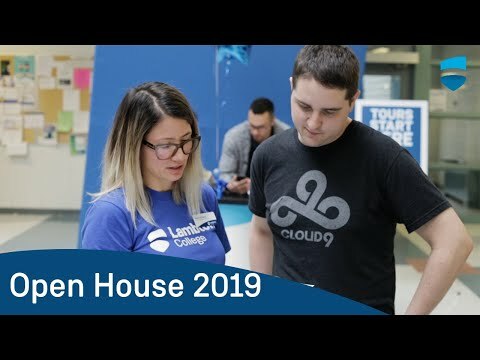 We want to make sure you're well prepared for Open House on March 30, 2019. Plan your educational and financial future. Our Financial Aid Officer will walk you through the OSAP process and answer questions about the changes to OSAP and tuition fees. 10:30 a.m. & 11:45 a.m. Hop on a shuttle to the Fire & Public Safety Centre of Excellence. Students and staff will be available to speak about our Fire programs and you will be able to see our facilities in action! Chat with your future Dean over a cup of coffee. Take a walk with one of our current students and see our brand new facilities, labs, classrooms, and residence. Take a peek or have a seat and do some gaming in our new Esports Arena. Enter to Win Your Tuition! Apply during Open House and we'll pay the Application Fee (that's a $95 savings!). Already applied? Confirm during Open House to receive Lambton College swag. Why stop there? Enter to WIN YOUR TUITION!